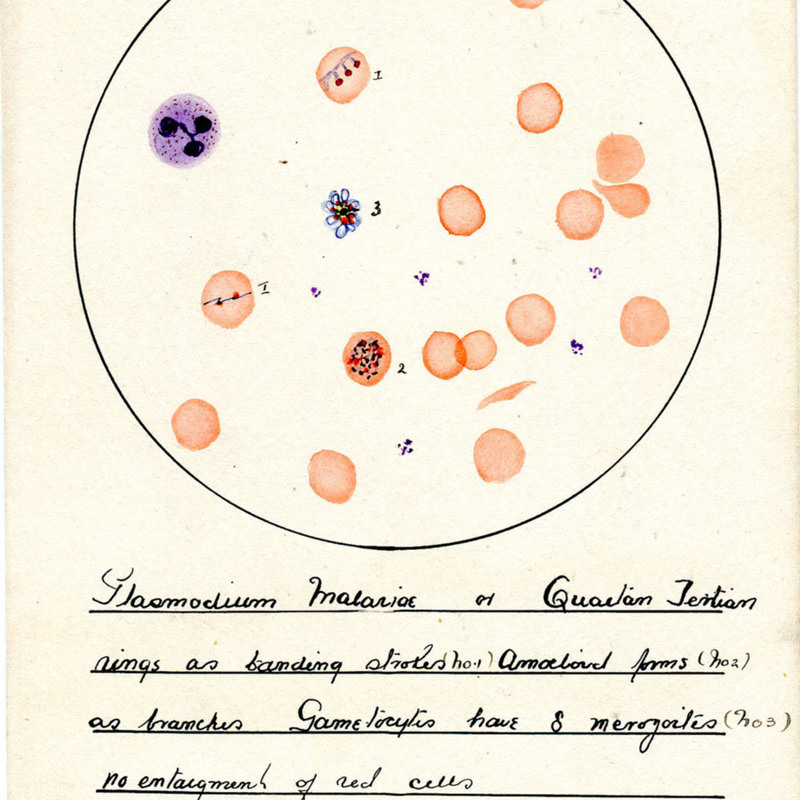 Part of a set of 12 paintings presented to Sir Ronald Ross, showing Plasmodium Malaria. “Painting of Malaria by John R. Price,” Heritage, accessed April 20, 2019, https://heritage.rcpsg.ac.uk/items/show/692. 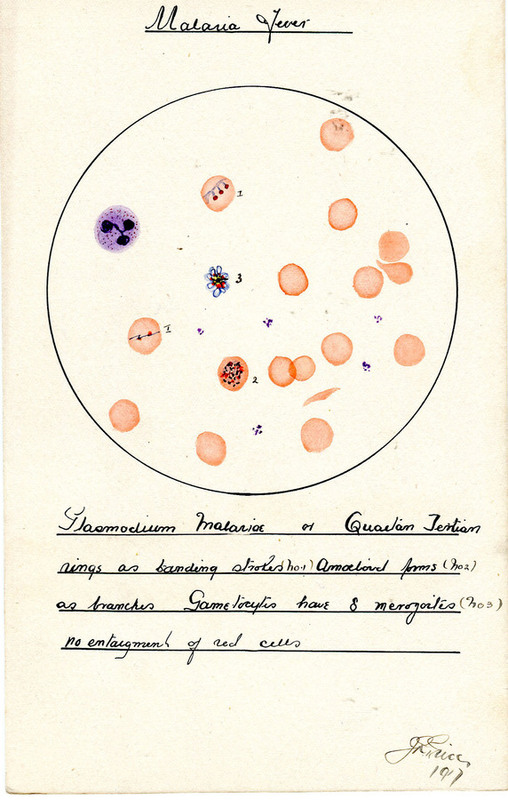 Description: Part of a set of 12 paintings presented to Sir Ronald Ross, showing Plasmodium Malaria.